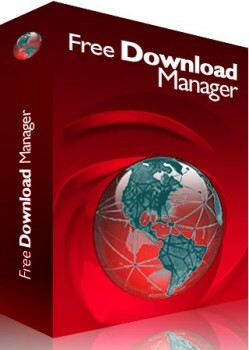 Free Download Manager 5.1.35.7091 Portable » TopFreeSoft.Net - Best Freeware Software! Download acceleration. Free Download Manager splits files into several sections and downloads them simultaneously, allowing you to use any type of connection at the maximum available speed. With FDM download speed increases, or even more! Resuming broken downloads. When the downloading process is interrupted, you needn't start from the beginning again. Free Download Manager can resume broken download from where it was interrupted saving your time, nerves and money. BitTorrent support. Download files using BitTorrent protocol. Upload manager: easy way to share your files. Upload your files or folders easily to share them with other users. Flash video download. Download video from video sites, such as Youtube, Google Video, etc. The video can then be saved in native .flv format or converted to one of more popular video formats. Remote Control. Create new downloads or view the list of active and completed downloads remotely, via the internet. Preview audio/video files before download is completed and convert file format after download. Free Download Manager is free, open-source software distributed under GPL license. With FDM you can easily organize downloaded files by their type, placing them in predefined folders. A smart scheduler allows you to start and pause downloading files, as well as perform other actions (launch other applications, establish or hang up connection, etc.) at the set time. There are several traffic usage modes. You can adjust traffic usage for browsing the Internet and downloading files at the same time.